Fortunately, our cupbearer Andrei who dropped out from our team, was up and about after some rest, and we all in full company were taken to the place where we had interrupted our Camino. The early morning was bracing us up by its chill, and we even had to put on some warm clothes. The earth was restful and refreshed after the night. There was a tender, barely perceptible aroma of some flowers lingering in the air. 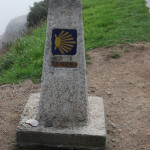 In keeping with the tradition, which had been established long before us, the mist was there again, and the dew, and the morning sparkle of the “diamond deposits.” It was the last day of our Camino, and we were a little sad, because this Camino too, would soon become our history. We had to cover the longest distance of the entire four-day journey on foot, and then solemnly walk into Santiago de Compostela. The first city on our way was Padron, which I have already told you about in the previous part. 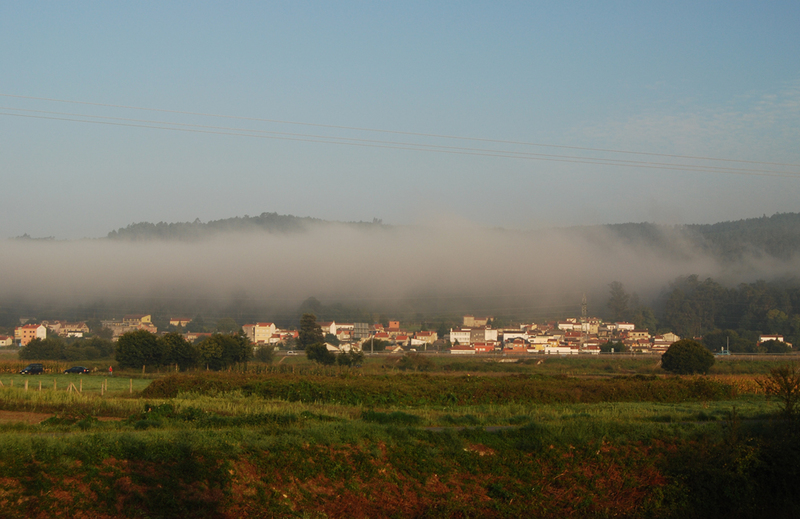 Having walked about ten kilometres, we were pleased to see the waking up Padron. The market woke up first – the fishermen were unloading their catch, and the salesmen were laying it out on their stalls. We decided not to miss this rarest opportunity and walked into the market to see what the citizens of Padron would eat on that day. Besides various kinds of fish and clams, there were the traditional jamons at the market, all sorts of little sausages and meat products, poultry, and all kinds of cheeses. Leaving the market, we walked in the direction of Santiago de Compostela, passing by the places familiar to us: the Church of the Apostle, the Convent of Carmen and Fuente del Carmen Fountain, the bridge, and the river, which had been formerly a bay. 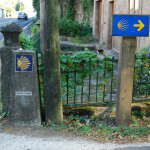 The distance between Padron and Santiago de Compostela is about twenty four kilometres. 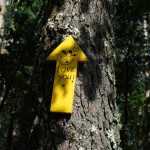 Along this little section of the way, as it is the case, though, with the entire route, many historic monuments and local places of interest are situated. I have told you before that the Spanish people are very appreciative and respectful of their historical and cultural heritage, whether it is the monuments of the material culture, or the national traditions, or their cuisine. 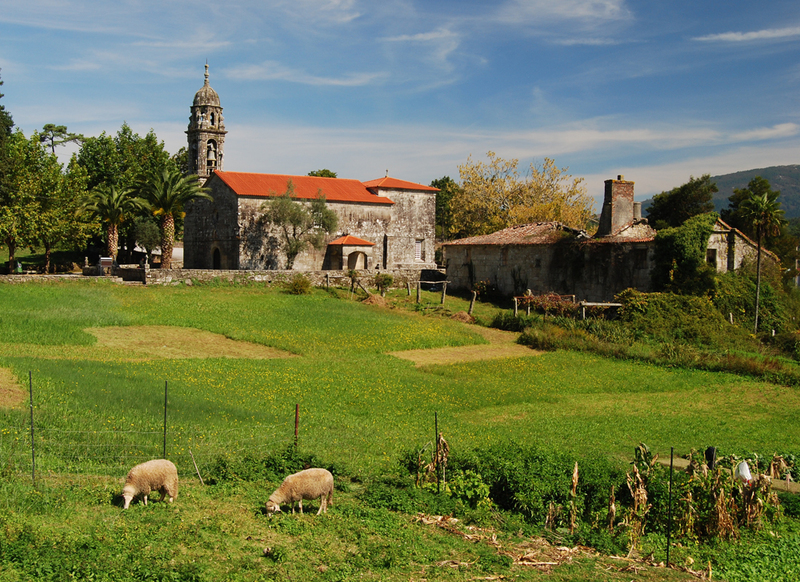 Camino Portuguese (Portugues) is different from the Camino Primitivo, which we walked in the previous year of 2014. 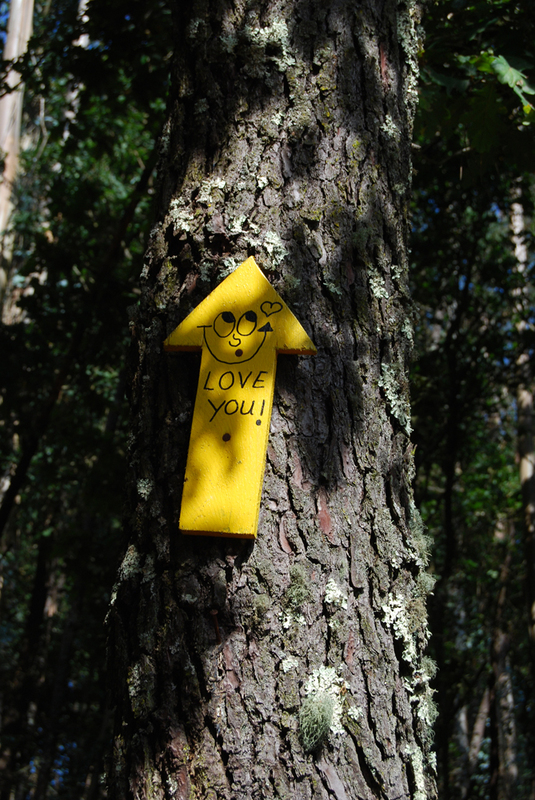 Here the forests are less common, and the proximity of the ocean makes the climate more humid. Every night, as the temperature drops, the mists descend upon the neighbourhoods. The agriculture is also more developed here. Almost along the entire way you are accompanied by the amazing landscapes with the fields planted with vegetables, fruits, and grains. Cattle breeding and animal farming is common here, although in the north (Camino Primitivo) cattle breeding and animal farming is more developed than here. If in the north, while staying in the countryside, we woke up early in the morning because of the noise of the cattle and barnyard fowl, here we had not actually encountered it. And both here and there – in the north, and throughout the entire Spain, everywhere the people are kind, sympathetic, hardworking, and hospitable. The food is very delicious, diverse, and simple. The Spanish diet consists of meat, poultry, fish and seafood, various vegetables and fruits, bread, usually homemade, and all kinds of cheese and dairy products. Spain is also famous for its wines. Although many people believe, including my favourite journalist and TV host Vladimir Pozner, that the wine can be of only two kinds – the French wine and all the rest of them, Spain has a lot of its own interesting and truly extraordinary wines. Personally, I enjoyed the local white wines. In every region they have their own wines. For myself, I discovered several wines, which, in my opinion, are as good as the famous French wines. Although I am not a great expert of French wines, but it seems to me that France is not so rich in white wines as, let’s say, Spain, Italy, or Portugal. Что здесь, что там на севере, что по всей Испании, всюду добрые, отзывчивые, трудолюбивые и гостеприимные люди. Очень вкусная, разнообразная и простая еда. В рационе питания испанцев мясо, птица, рыба и морепродукты, разнообразные овощи и фрукты, а также хлеб, как правило, домашний, разнообразные сыры и молокопродукты. 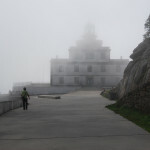 As always, we were hit by siesta on the road, but we aimed to walk to Santiago de Compostela according to our plans, and we decided to continue our journey no matter what. The afternoon heat was wearing us out, but we did not stop and still walked on. 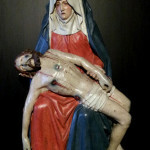 The closer we approached the destination of our pilgrimage, the more people we met. All of them were joyful and inspired; and all of them were smiling. Some unknown feeling made the people happy and joyful. English writer and preacher John Bunyan wrote a book under the title The Pilgrim’s Progress, which I read some time ago. 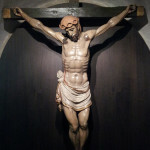 The book in an allegorical form presents the way of a man’s seeking after God – his doubts, his repentance, and the process of his spiritual growth. The main character – Christian, set out on a distant journey to the Celestial City. The pilgrim’s path to God went through the Narrow Wicket Gate, through the Slough of Despond, and through the Doubting Castle. He met many characters on his way: Mr. Wiseman, Mr. Doubtful, Mr. Faithful, and every character tried to reach the Celestial City in his own way. As he went on further, carrying his heavy load, the pilgrim came to realize that in order to reach the Celestial City he needed to get rid of the things which weighed him down. I think that all these people, whom we met on our way, were full of the realization that soon they would get rid of the things which weighed them down. A little ascent, then a slight turn, and there before us were the spires of the Cathedral, so familiar to us. One spire was still covered under the scaffolding, but it did not hinder us from beholding the beauty of this cathedral. All of us sensed a joyful feeling. 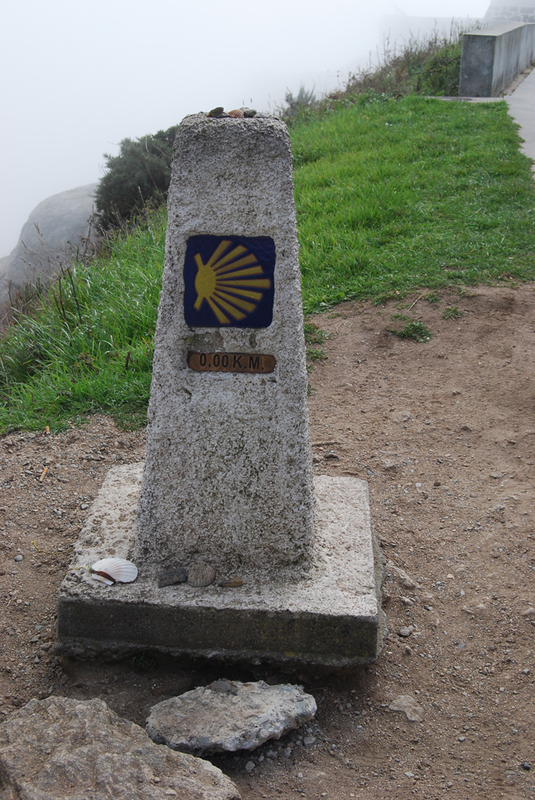 This feeling has been experienced by all travellers who have been walking to Santiago de Compostela for more than a thousand years. We walked the last section of the way following the direction of the spires. 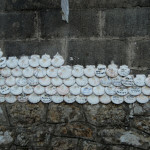 Of the entire Camino Portuguese, the last section of the way proved to be the most difficult one. It was difficult because it was the longest section we had walked, and also because it was the longest ascent upward. 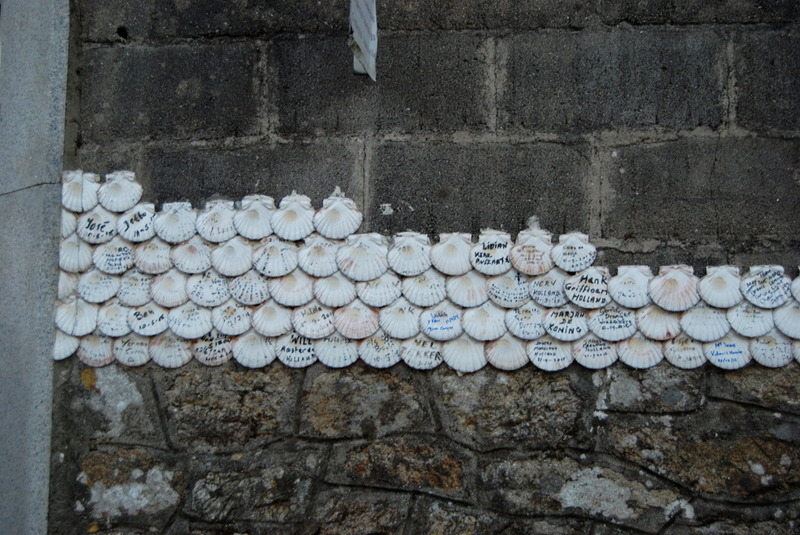 Some short history on Santiago de Compostela. 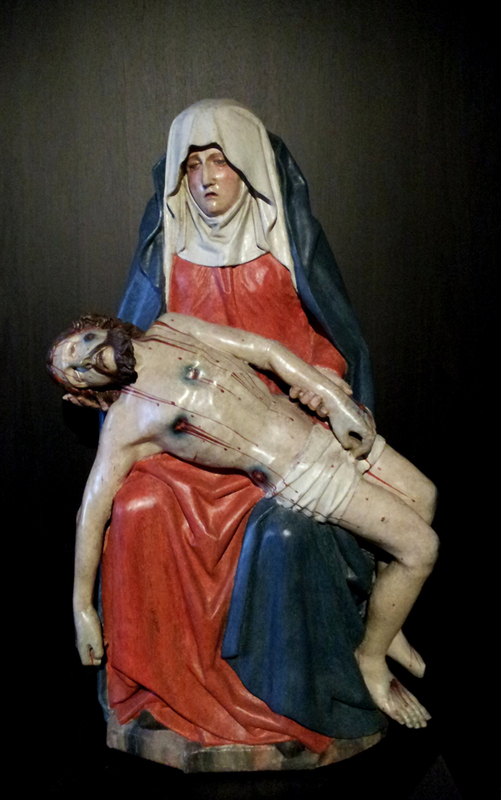 The word Compostela is derived from the Latin Campus Stellae – “a place, marked by a star.” In 813, hermit monk named Pelagio (Pelayo), who lived here, followed a guiding star and discovered a boat with the relics of Saint James. Despite the eight centuries that had passed since his death, the Apostle’s relics remained incorrupt. The first temple on the tomb of Apostle James was built by King Alfonso II and Bishop Teodomiro in 829. 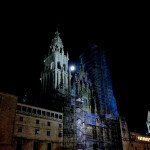 In 896-899, King Alfonso III reconstructed the temple, making it more beautiful and monumental in size. One hundred years later, in 997, during one of the raids if the Moors, the church was destroyed. In 1078, under the supervision of Bernard, French architect-monk from Cluny, the construction of a new Cathedral began. It had several stages (1077/78 – 1088; 1100 – 1128) and lasted for several centuries. By 1521, the Cathedral was mostly finished. 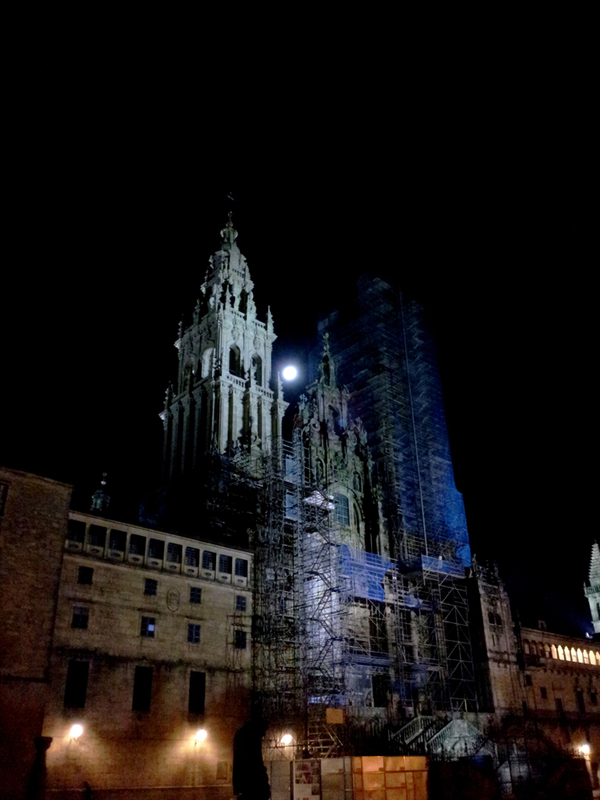 You can read some more detailed information about the Cathedral in Santiago de Compostela in the article posted on December 6, 2014. Before the office, where the credencials (the pilgrim’s passport) were stamped and compostelas (the pilgrimage certificates) were issued, there was a queue. It was important for us to complete all these procedures on that very day, Saturday, so that on Sunday we would have the chance to attend the Sunday Mass and be included in the pilgrims’ list, whose names are read during the service. 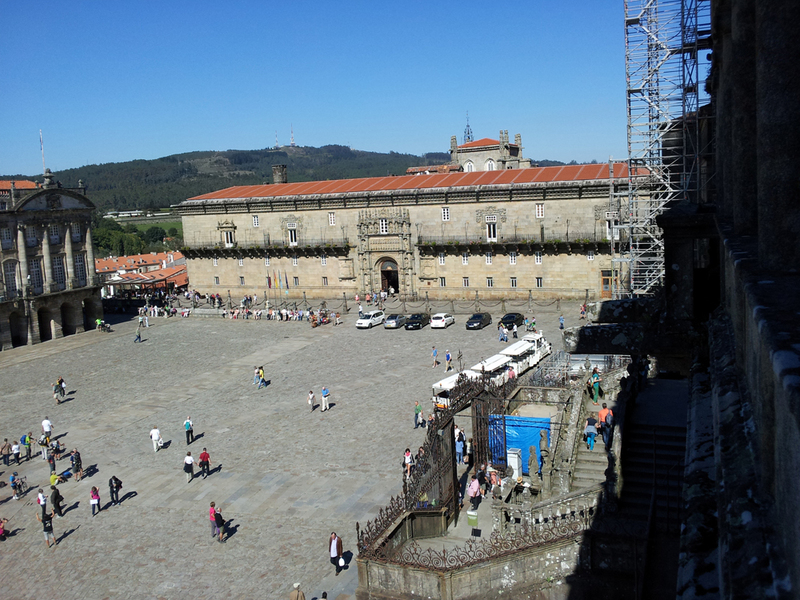 Upon receiving the compostelas, we checked into our hotel. For our temporary residence we chose a historic hotel Parador de los Reis Catolicos, which is located near the Cathedral. 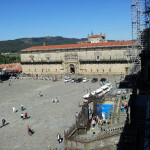 The hotel is lodged in the building of the XVth century; formerly it was called Hostal dos Reis Catolicos, and all the pilgrims found their shelter here; also there was a Royal hospital here before. A lot of original elements have been preserved in the hotel, including the vaulted ceilings, stone arches, tapestries, and even the furniture. Having settled at the hotel, we decided to go for a little walk in the city, and on the next day – on Sunday morning, to attend the Sunday Mass. The Sunday chime called everyone to the Sunday Mass. By 10 o’clock the huge cathedral with the capacity of several thousand people was completely filled. A queue of pilgrims lined up to the crypt, where the incorruptible remains of Apostle James, son of Zebedee, are kept. The same kind of queue lined up to the confessionals. The members of the Portuguese Royal House were participating in the mass. 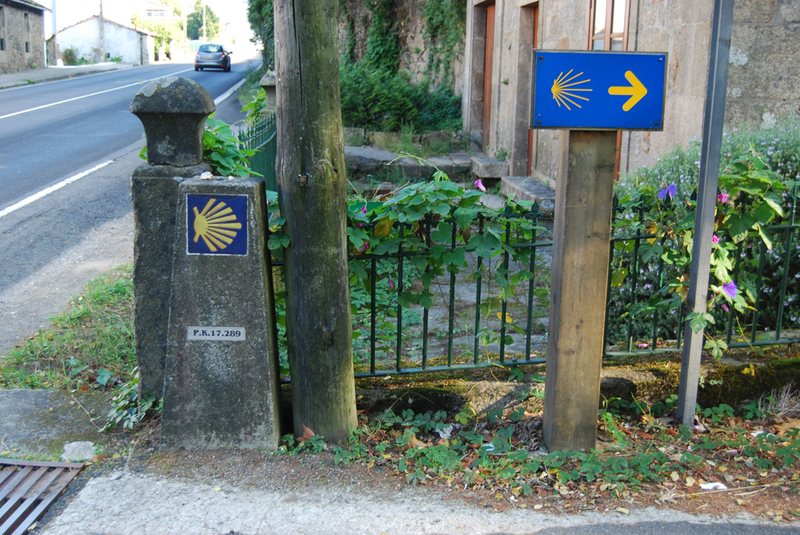 It seemed to us quite symbolic, since we had completed Camino Portuguese. After a short prayer and a sermon, the floor was given to the representatives of the Royal House of Portugal. It was the first time we attended a worship service like that. After the short addresses, the sides exchanged presents; the representatives of the Royal House presented a gift to the cathedral, and in return they were given a certificate of appreciation and a commemorative sign. 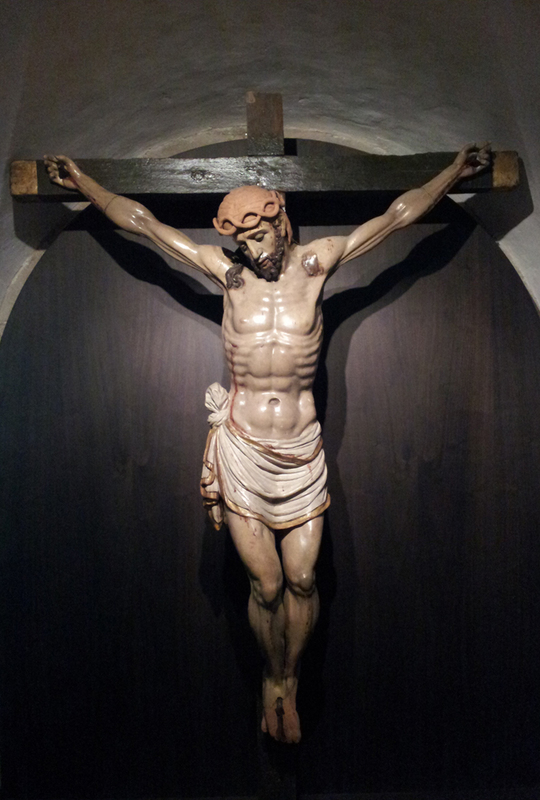 After the mass, we visited the museum of the cathedral. 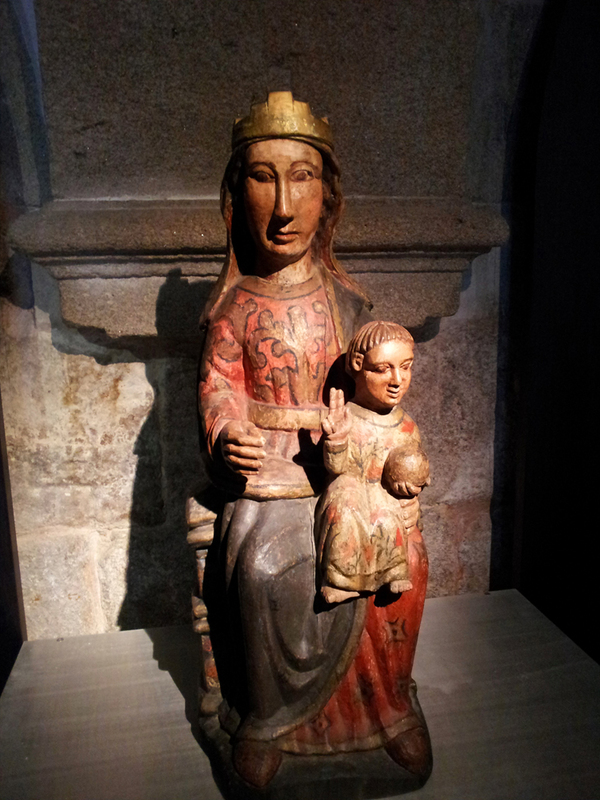 The museum’s display is interesting and rich, especially we were impressed by the expositions devoted to the history of the cathedral’s construction and the history of the pilgrimage. 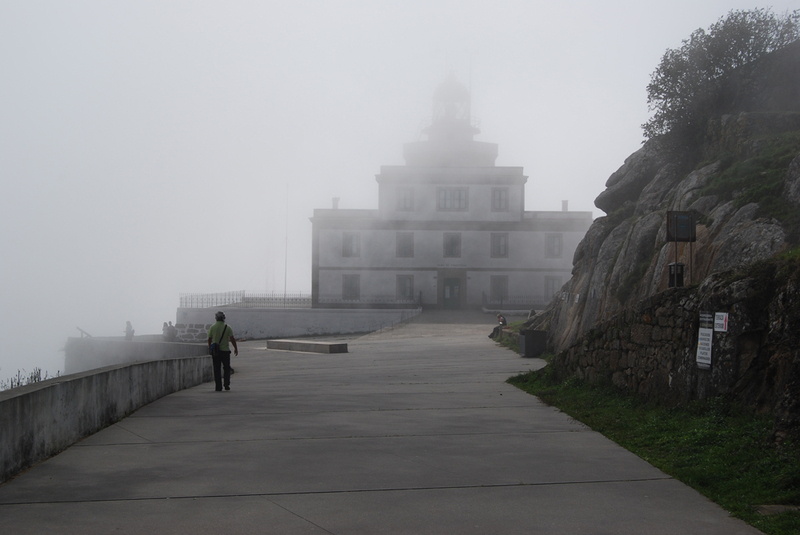 After the museum, we decided to go to the utmost endpoint of Spain and Kilometre Zero of the Camino – to the coastal town of Finisterre. 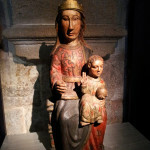 This is how our second Camino (journey on foot) to Santiago de Compostela ended.